I have to confess that I am prejudiced against vegetarians, especially vegans. It shouldn’t really matter to me what someone chooses to eat, yet the sense of self-righteous moral superiority they exude over us meat eaters is more than a little annoying. They are better than the rest of us because we enable cruelty against animals. Thus we see scenes like this. Now I realize that not all vegans are like this. There are many moderate, reasonable vegans who respect the dietary choices of others and do not embarrass themselves in restaurants. Unfortunately, 90% of them make the other 10% look bad. Well, they can stop the moral superiority. Science has discovered that plants know when they are being eaten, and they don’t like it. I learned of this from an article in Modern Farmer. We’ve been hearing for decades about the complex intelligence of plants; last year’s excellent New Yorker piece is a good place to start, if you want to learn more about the subject. But a new study, conducted by researchers at the University of Missouri, managed to figure out one new important element: plants can tell when they’re being eaten, and they don’t like it. The word “intelligence,” when applied to any non-human animal or plant, is imprecise and sort of meaningless; research done to determine “intelligence” mostly just aims to learn how similar the inner workings of another organism is to a human thought process. There’s certainly nothing evolutionarily important about these sorts of intelligence studies; a chimp is not superior to a chicken just because chimps can use tools the same way humans do. But these studies are fascinating, and do give us insight into how other organisms think and behave, whatever “think” might mean. This particular study was on the ever-popular Arabidopsis, specifically the thale cress, easily the most popular plant for experimentation. It’s in the brassica family, closely related to broccoli, kale, mustard greens, and cabbage, though unlike most of its cousins it isn’t very good to eat. This particular plant is so common for experiments because it was the first plant to have its genome sequenced, so scientists understand its inner workings better than almost any other plant. The researchers were seeking to answer an unusual question: does a plant know when it’s being eaten? To do that, the researchers had to first make a precise audio version of the vibrations that a caterpillar makes as it eats leaves. The theory is that it’s these vibrations that the plant can somehow feel or hear. In addition, the researchers also came up with vibrations to mimic other natural vibrations the plant might experience, like wind noise. Turns out, the thale cress actually produces some mustard oils and sends them through the leaves to deter predators (the oils are mildly toxic when ingested). And the study showed that when the plants felt or heard the caterpillar-munching vibrations, they sent out extra mustard oils into the leaves. When they felt or heard other vibrations? Nothing. It’s a far more dynamic defense than scientists had realized: the plant is more aware of its surroundings and able to respond than expected. So, there you have it. Those fruits and vegetables you are eating were once happy growing in the earth until someone came along and yanked them up and killed them. They were probably screaming in pain as they were chopped up to make your salad. How do you feel now, vegans? Are you happy to be so cruel to plants. The only way you can truly live without exploiting your fellow organisms would be to not eat at all. In fact, you shouldn’t even drink. Who knows how many microbes you are slaughtering with each drink of water? Maybe we need to form a new organization, People for the Ethical Treatment of Plants or PeTP. End plant exploitation! We really need to stop comparing American politicians to dictators. No one in contemporary American politics, including President Obama is anything like Hitler, Stalin, or Mussolini and making such comparisons is not only ridiculous, but a disgrace to the memory of those who have suffered under real dictators. What brings this on is a recent statement by Mark Levin that Obama will go “full Mussolini” after the upcoming election. I understand what Mark Levin means. Faced with a hostile Congress controlled by the Republicans, it is likely that Obama will make extensive use of executive orders to enact the policies he wants. He does not have to face another election so he need not concern himself with the political consequences of his actions. He could very well attempt to complete the fundamental transformation of this country in the last half of his second term. But, taking all of that into consideration, Barack Obama will still not be Benito Mussolini. 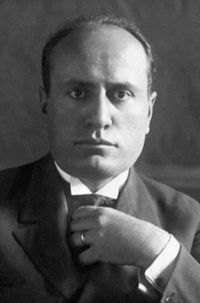 Mussolini gained control of Italy by force and he aspired to have total control over the country. He really was a dictator and there were no formal checks or balances on the power he could wield in Italy. Mussolini never really had the sort of control that Hitler had in Germany or the Communists in Russia or China, partly because the Italians are less given to marching in ranks than others and partly because he had to contend with the Roman Catholic Church and the Italian monarchy. Still, for eighteen years, Mussolini controlled the destiny of Italy. No matter how many executive orders he writes, Barack Obama will not have that kind of control over the United States. Italy was a one party state under Mussolini. We still have two opposing parties here, as well as a mostly free press and freedom of speech, for now. If anything, it is likely that the next two years will prove to be intensely frustrating for Obama. He will be a lame duck. After six years, the people will be tired of him and ready to move on. 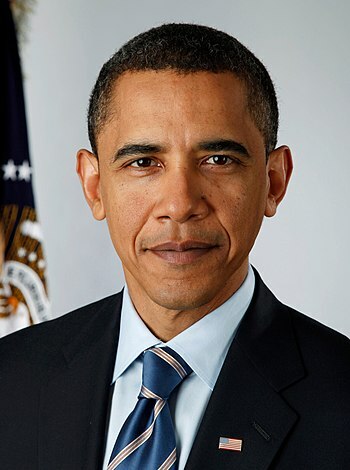 The 2016 election will attract more and more of the nation’s attention and of Obama’s popularity continues to drop, the candidates may prefer not to be seen with him. I predict he will be playing a lot more golf over the next two years. I was not certain I wanted to read The Inside Guide to Becoming a Christian Apologist by J P Holding. I do not have any plans to begin a career as a Christian apologist, although I very occasionally write what might be considered apologetics on my blog. Also, when deciding whether to get a book on a controversial subject such as politics or religion, I generally look first at the one-starred reviews at Amazon. If I find a large number of such reviews written by people who have obvious not read the book and have an agenda opposed to that of the writer, I know it is worth reading. This may seem a strange criterion, but I haven’t been disappointed yet. Unfortunately, The Inside Guide to Becoming a Christian Apologist has only recently come out and there is only one review. I decided to take a chance and I can say I wasn’t disappointed. 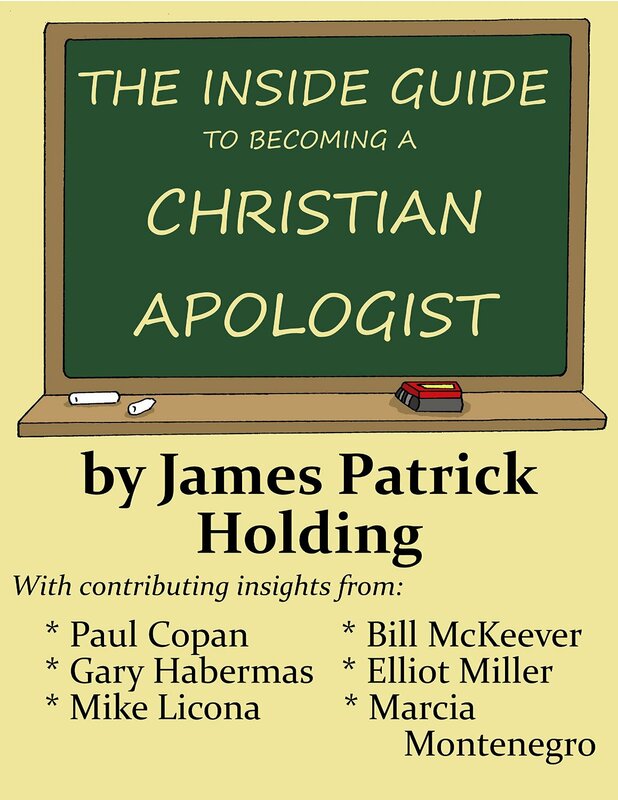 The Inside Guide to Becoming a Christian Apologist is a short book, only 68 pages if it were in a print edition, yet it is full of information for anyone considering a career as an apologist. In the first chapter, Holding discusses the education needed to becoming an apologist. This is not something you can just start doing. If you want to be an effective defender of the Christian faith, you had better be prepared to learn the trade. Fortunately, this does not necessarily require a PhD in theology. There are several paths you can take and Holding discusses which might be best. He moves on to learning the lost art of doing research in the following chapter. The real nuts and bolts of a career in apologetics are dealt with in the next three chapters. Holding discusses possible career paths, whether working for someone else or striking out on your own. This section is perhaps the most important for anyone considering a ministry involving apologetics. Even the most knowledgeable academic who knows the best arguments in defense of the Christian faith will come to grief if he lacks the knowledge to set up a nonprofit ministry or is unable to share his knowledge using the Internet or other resources. Finally, in the last chapter, Holding discusses the pitfalls of being an apologist. These include some obvious things as pride and sin, as well as some problems that might not occur to one just starting out, fundraising and making time for family. 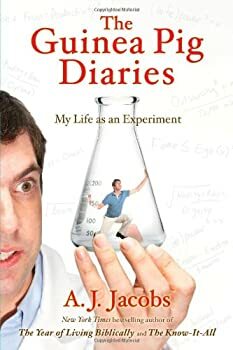 There is no discussion of specific arguments or apologetic techniques in this book. That is beyond its scope and would perhaps take hundreds of pages. This book is not everything you need to know to defend the faith. It tells you how to get started and where to go for information. You will have to do the rest of the work. Not too long ago, I finished reading the Bible. This is an undertaking I have completed numerous times, to the point where I honestly don’t know how many times I have read the Bible all the way through. I became curious about how many people have actually read the Bible all the way through, I doubt there are many even among devout Christians and Jews, so I asked that fount of all knowledge and wisdom, Google. The first thing I noticed from the results is that there seems to be a prevailing idea that few Christians have read much of the Bible. Only Atheists have actually read and studied the Bible in any sort of rigorous fashion and they are uniformly appalled by the ignorance and atrocities found in the “Good Book”. This line of thought goes on with the corollary that anyone who does actually read the Bible will, if he is honest and intelligent immediately convert to Atheism. This, Isaac Asimov said, “Properly read, the Bible is the most potent force for atheism ever conceived.”, and we get these sort of graphics. I don’t find that to be the case myself. 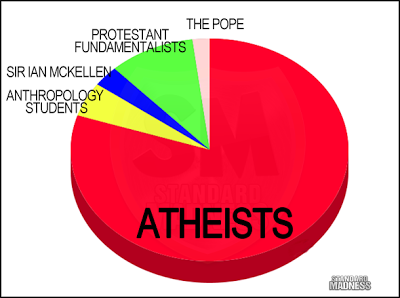 In fact, I do not think I could be an honest atheist. The best I could manage might be a sort of Deism, but that is a subject for another post. I also find that the Bible “grows” on me, even the less interesting books. I find, in a curious sort of way, that I get more out of the Bible every time I read it and this appreciation grows even greater when I study the historical and cultural background in which the Bible was written. It is a grave mistake to read your Bible as though you were reading a newspaper or a contemporary novel. While the truths of the Bible may be eternal, they are expressed from the viewpoint of cultures very different than our own, ones closer to the edge than our comfortable modern, Western world. For this reason, I suspect that a reader from the Third World must have a much easier time understanding the motives and actions of the people in the Bible than a middle class American ever could. I can also see why an ignorant and superficial reading of scripture may lead to many very wrong ideas, including Atheism. 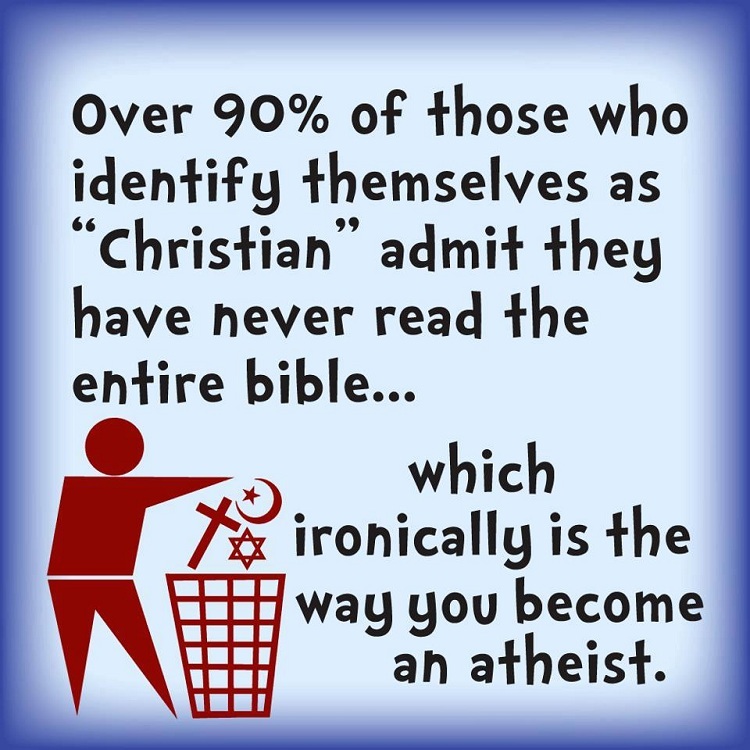 One of the results of the Google search was an article from the website Atheism Resource titled, “Hey, Christian, Have You Read the Bible.”, written by a fifteen year old Atheist named Cassie Huye. I have read the bible from cover to cover. How many people can actually say that? I will admit that I have forgotten many of the small details and even some of the major events, but at one time my eyes did glaze over the entire thing. At school, I once had a girl in my class ask why I knew so much about Christianity. When I told her, she was astounded that an Atheist knew anything about her precious little religion, and could not bring herself to find any reason at all that I could be capable of not believing in her god, had I read all of his wondrous miracles in the bible. What is considered a wondrous miracle anyway? I’ll admit that the ability to turn water into wine is pretty cool, but it seems like that should be a magical spell in some Harry Potter type book with an alcoholic wizard. I think we have the next great Atheist apologist here. With snarky comments like “her precious little religion”, and generally deriding her classmates, she could be the next Sam Harris or Christopher Hitchens. I guess if you are the bald man, the death of those who made fun of you for something you can’t help is a miracle, but it really isn’t fair to the kids. The reason we cannot even legally drink until we 21 is because children’s brains are not even totally developed until they are 21. God made us right? He is all knowing… so doesn’t he know they were just using their underdeveloped child brains to make the stupid decision of making fun of a chosen one of God? I mean, if anything, it is God’s fault that they made fun of the man. He made them to have underdeveloped brains! Do I even have to note that the word translated as “children”, נצר na’ar could also mean young man, adolescent or even servant and that “little” קטנ qaton means little, small, insignificant? Keep in mind, also, that the city of Bethel was a center of worship for the Kingdom of Israel and thus was a rival to the Temple in Jerusalem and to the prophetic tradition of Elijah and Elisha. 25 Then Jeroboam fortified Shechem in the hill country of Ephraim and lived there. From there he went out and built up Peniel. 28 After seeking advice, the king made two golden calves. He said to the people, “It is too much for you to go up to Jerusalem. Here are your gods, Israel, who brought you up out of Egypt.” 29 One he set up in Bethel, and the other in Dan. 30 And this thing became a sin; the people came to worship the one at Bethel and went as far as Dan to worship the other. It is possible, then that the “little children” were actually a mob of young men intent on insulting and even attacking Elisha. You may still find the incident with the bears disturbing, but a closer investigation shows that the incident is not what it seems to be based on a superficial reading based on ignorance of the historical conditions of the time. This is just one example of the many absolutely insane things that are written in the bible. I promise you that the language the bible is written in was made to bore, but if you want a violent story or just a little comedy, you can find it in your bible. She is right here. You can find action, comedy, romance, even zombies in the Bible if you know where to look.If you find the language boring, try another translation. But as for insane, again a knowledge of the background of the times will lead to a greater understanding. Dismissing things you do not understand as insane is simply pride in remaining ignorant. But back to the original question of how I can read about the wondrous miracles of God and be an Atheist. It’s easy, all I had to do was actually read the miracles, and after reading them I don’t know how anyone could be Christian knowing what they say they think is true. So I encourage you to go out, whoever you are, whatever religion you are: read about your own religion, and read about someone else’s too. Maybe you will realize that you have wasted years listening to someone scam for your money, or maybe you become convinced that you have found the true answer. But at the very least, you will know a little more about the world. As the motto goes, knowledge is power. Actually, she assumed that miracles cannot happen and that any account of miracles must therefore be false. This assumption that miracles cannot occur is a reasonable assumption given that we do not ordinarily witness miracles, but it is only an assumption. The fact that the Bible contains miracles in its narratives does not prove that the narratives are completely false. They could be reliable history with some exaggerations included. The Bible could be literature, like Homer or Virgil, with a grain of true history at the core, or the miracles could have actually happened. Some of the stories in the Bible may seem strange to us. They did not seem strange to the people who wrote the Bible. As I have indicated, a knowledge of the culture and history of ancient times good serve to make the “insane” stories of the Bible less insane.Cassie Huys dismisses the Bible and Christianity at the age of fifteen after reading the Bible without even trying to understand it. She should take her own advice. Domain walls and bubble-droplets in immiscible binary Bose gases. (arXiv:1410.1557v1 [cond-mat.quant-gas]) (arxiv.org)I have no idea why Zemanta would think this was a related article. Interesting though. I have mentioned before that I am on the mailing list of Hammacher Schemmer, the store that has sold the best, the only, the unexpected,and the absurdly expensive for the last 166 years. In a recent catalog, I spotted a must have item, the home lie detector. This can be yours for only $399.95. There is, of course, not really any such thing as a lie detector, at least not in the sense that there is actually a machine that can determine if a given statement is truthful or not. What is often called a lie detector is, in fact, a device called a polygraph. A polygraph operates by measuring various physiological processes, such as pulse rate or the skin’s electrical resistance, as mentioned in the catalog, and perhaps respiration and blood pressure depending on the device. The theory is that these measurements change when the subject is telling a lie.The extent to which this theory is valid is unknown since there doesn’t seem to be any consensus on how effective the device actually is. Professional polygraphers and their trade associations claim a better than 90 % effectiveness. Others, including the American Psychological Association are skeptical about whether the device is effective at all. It is not quite true that the results of a polygraph test are not legally binding. That actually varies by state in the United States. Something like nineteen states do admit polygraph results as evidence, depending on circumstances. Polygraph evidence may also be admitted in a Federal trial, if the presiding judge at a court permits it. In general the results of a polygraph test can only be used in court if both the prosecutor and the defendant have no objections. Since every individual responds to stress or lying in a different way physiologically. no polygraph device can determine if a person is definitely lying or telling the truth. No such device has a button that lights up or a alarm that sounds if a lie is told. The results of a polygraph examination must be interpreted by the examiner, and this is why there is so much uncertainty concerning the effectiveness of the polygraph is at detecting lies. The usual procedure is for the examiner to ask a series of innocuous questions to the subject being tested in order to establish a baseline for the various physiological processes being measured. Once that is done, the examiner can proceed with the actual interrogation of the subject. Even then, the results are far from being unambiguous and determining whether a subject is being honest is more an art than a science. A good many polygraph examinations end up being simply inconclusive. I suspect that in the cases in which a polygraph examination is effective at detecting lies, it may be more because the subject believes the polygraph to be effective and is more nervous about lying than he otherwise should be. It occurs to me that a person who is knowledgeable about the workings and actual effectiveness of a polygraph would be more able to cheat the device than someone who really believes it can detect lies. I would also imagine that an experienced liar or criminal would display less of the reactions tested than a person who is naturally honest. It may well be that the honest, law abiding citizen, or the inexperienced and perhaps guilt ridden criminal would have more to fear from a lie detector test than the career criminal used to lying, or the sociopath who believes there is nothing especially wrong with lying. It should be noted that the notorious traitor and spy Aldrich Ames passed two polygraph examinations with flying colors while he was passing information to the Soviets, as did Gary Ridgeway, the Green River Killer. There have been suspects who have failed polygraph examinations only to be exonerated by actual evidence. If you are ever asked to submit to a polygraph test as part of a criminal investigation, you should refuse unless your attorney is present. The police cannot force you to submit to a lie detector under any circumstances and you should not be certain that the results of such a test will show you to be innocent. You also cannot be required to take a polygraph test as a condition of employment by most private employers, the exception would employers who work with the government and have access to classified materials. If you apply for a job and are asked to submit to a polygraph test or if your employer asks you to take an exam as a condition of continued employment, chances are they are breaking the law. You might want to consider whether you want to continue working for someone who obviously mistrusts you. So, if you want to have fun at parties, by all means buy the Home Lie Detector. I wouldn’t recommend you use it on your teenager or anyone else. If even people who administer polygraph tests professionally can sometimes find the results difficult to interpret, you might not want to be too confident of your own, or the computer’s interpretations. And, forcing your child to submit to a polygraph test might not be the best way to build trust in a relationship. I think we can absolve Columbus of the destruction of many Native American cultures and peoples. That was inevitable. Europe’s sailing and navigation techniques were advancing rapidly and it was only a matter of time before someone stumbled across the Americas. Since the natives were millenia behind in technology, they were doomed. They weren’t entirely helpless victims though. One of the first things that any Indian tribe did when they were contacted by Europeans was to arrange to trade for firearms to use against their traditional enemies. It does not seem to have occurred to them to form alliances against the European invaders until it was too late. He seems not to have been a very good governor of Isabella, the first Spanish colony in the New World. He was charged with excessive cruelty and sent back to Spain in chains. These charges might be false though, since Ferdinand and Isabella felt they had promised him too much reward for his discoveries. Before he set out, they had promised him governorship of the lands he discovered. As it became obvious to everyone but Columbus that he had discovered a whole continent, the king and queen wanted a bigger share. 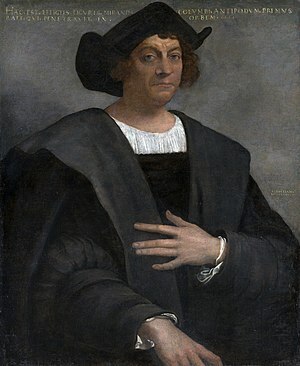 Ill Winds Drove Columbus (laprogressive.com) White Europeans can do no right. Savages and barbarians can do no wrong. Typical leftist idiocy here. I happen to be a staunch supporter of the second amendment right to bear arms, and naturally I oppose strict gun control laws. This is not because I have a great love of guns. I have never owned a gun of any sort and I don’t have any plans to acquire any sort of firearm. I have never even shot a gun in my entire life. I am certain that if I did happen to have a gun, I would be more dangerous to myself than to any potential enemy. My support for the second amendment is entirely on libertarian grounds. If you want to own and carry a gun, that’s your right and I wouldn’t want to stop you. I have no use for guns, but I respect your right to have one. Having said all that, I must confess that I find that the thinking of some of the more enthusiastic gun lovers to be a bit, well, dumb. What I mean is the idea some of them seem to have that they will happen upon the scene of a crime in progress or will be confronted by a mugger and they will whip out their trusty sidearm and take care of the situation. I think they must have a scene rather like this one playing in the theater of their minds. I wish I could have found that clip without the commentary. Anyway, this story relates a somewhat more likely outcome. A Gresham, Oregon open carry enthusiast was robbed of his weapon on Saturday by another man with a gun. 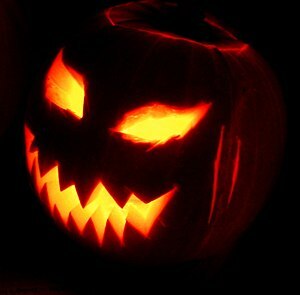 According to KOIN Channel 6, 21-year-old William Coleman III of Gresham was standing and talking to his cousin shortly after 2:00 a.m. on Saturday when another man approached him and asked for a cigarette. The other man — described as a black male around 6 feet tall with a lean build and wavy hair — asked Coleman about his weapon, a Walther P22 pistol. Coleman did as he was told and the man then fled on foot. He was reportedly wearing gray sweatpants, flip flop sandals and a white t-shirt and had a small patch of facial hair on his chin. Coleman told police the suspect appeared to be between 19 and 23 years of age. Now, concealed carry makes sense in that if the bad guy doesn’t know you are armed, you can give him a nasty surprise. That element of uncertainly whether a potential victim is armed may act as a deterrent to a criminal. Openly carrying a gun makes less sense, since a criminal can see that you are armed and take precautions, such as pointing his own weapon at you and disarming you, or even deciding to shoot first. But the real lesson in this particular story is that it is easy to concoct fantasies about what you might do in a dangerous situation but the simple truth is that none of us can possibly know what we might do until the situation is actually occurring. Unless you are specially trained or have actual experience, chances are that you will not engage in a shootout with a criminal. You will not stop a madman shooting up a shopping mall. You will be running and hiding like all the other people. Carry a gun, either openly or concealed if you wish, but don’t take for granted that you will be a hero when the time comes. I should also say that looking over the comments of this story is a really depressing experience. I don’t know whether the ignorant and the vindictive are drawn to the comments section of stories like this, or commenting on such stories brings out the worst aspects of human nature. Either way it is depressing.